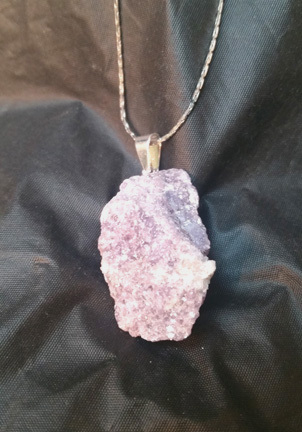 These gold or silver plated pendants come with a beautiful, lavender Rough Lepidolite piece. 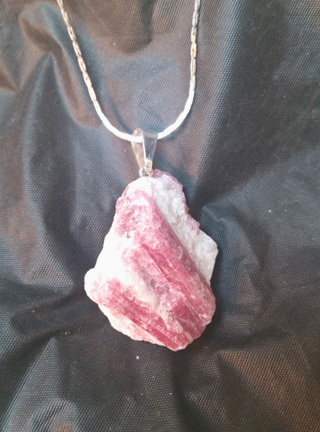 These gold or silver plated pendants come with a beautiful Pink Tourmaline piece. 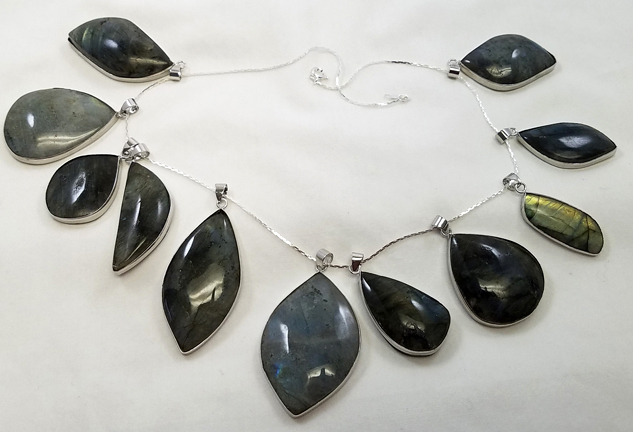 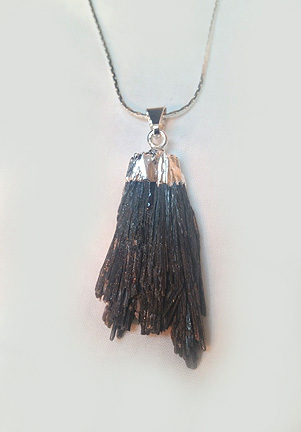 These gold or silver plated pendants come with a beautiful Black Kyanite piece. 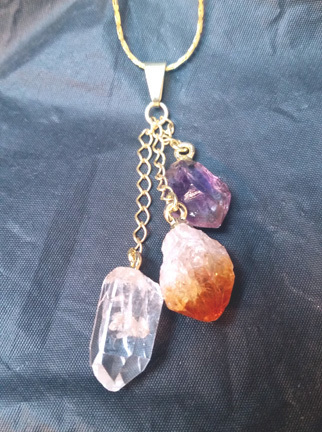 This beautiful pendant has a rough Amethyst, Citrine, and Quartz crystal point chained together to make this stunning piece! 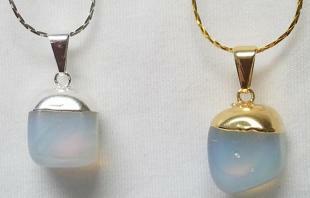 Comes in your choice of gold or silver and includes an 18" plated chain. 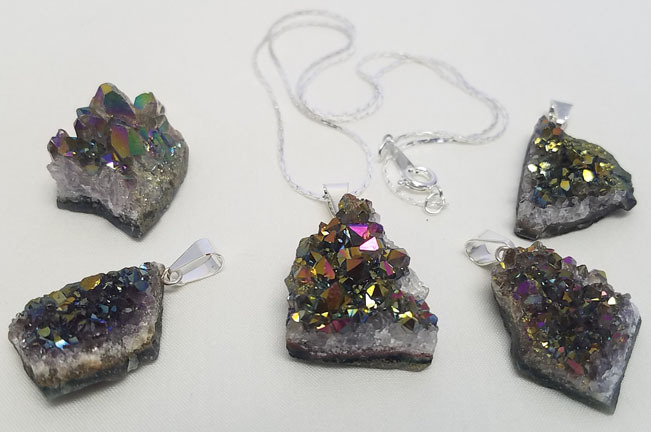 These pendants each contain a gold or silver plated Aura Quartz Cluster mounted on the top or side. 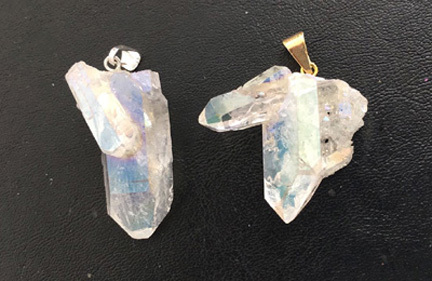 The Aura Quartz gets its prismatic iridescence from a coating of Platinum and Silver, sometimes Gold or other trace metals. 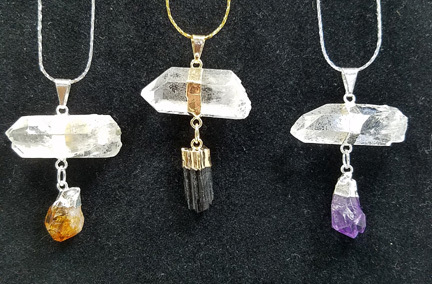 These pendants each contain a gold or silver plated natural Quartz Cluster mounted on the top or side. 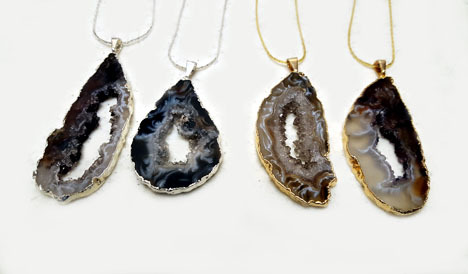 These natural Agate Geode Slices are available in gold or silver plating and are approximately 1.5"L X .5"W. Comes with 18" gold or silver plated chain. 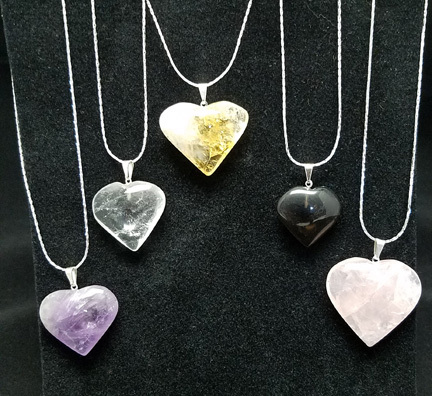 These pendants each contain a rough Quartz Crystal Point with a sliver of Tourmaline mounted on the front. 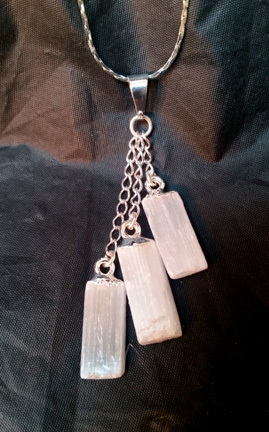 Approximately 1"L X .5"W and comes with 18" gold or silver plated chain.